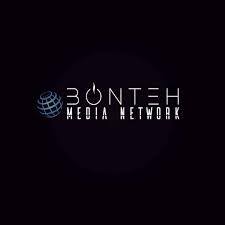 The Bonteh Digital Media Awards 2018 is expected to be big, better and more profitable than its previous edition. According to Bonteh Engelbert, CEO of the Bonteh Digital Media Awards (BDMA), this year’s event is expected to pump a whopping 43,000,000 FCFA into the economy. 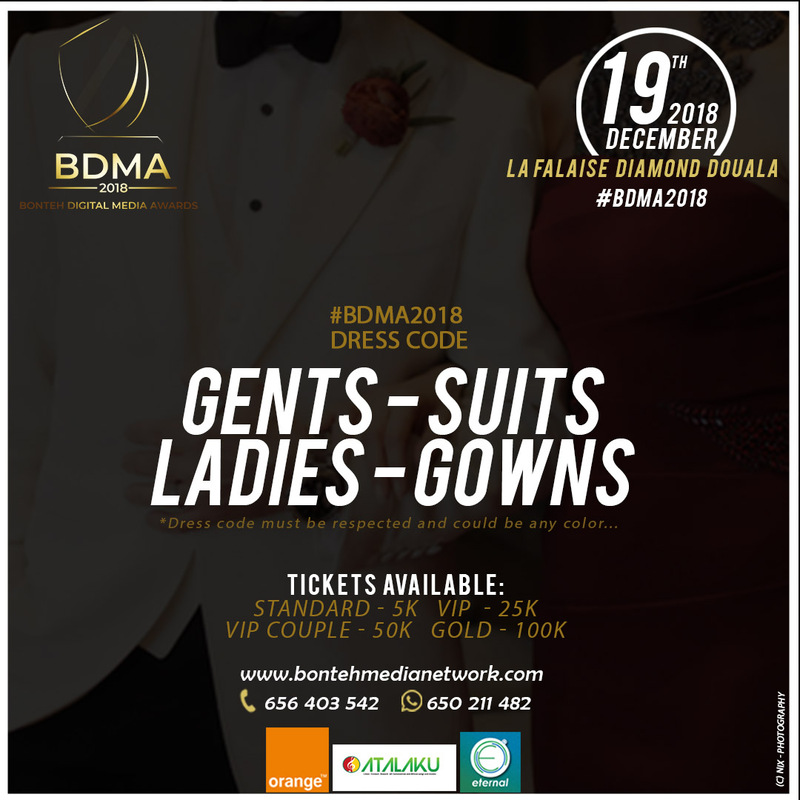 It’s no doubt that when it comes to media and innovative awards in Cameroon, the BDMA stands out as the first, the most prestigious and most followed. It’s also gradually gaining grounds across the country as far as popularity is concerned. “There are very few events with potentials of getting everyone engaged; digitally and offline. 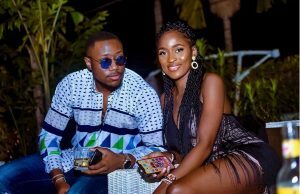 #BDMA2018 stands out as those few events gaining the heart and minds of media, digital and entertainment stakeholders,” says the CEO. 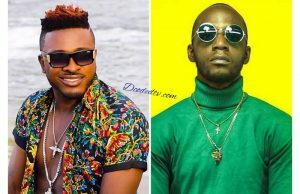 Organisers estimate a 1000 man capacity at this year’s event in Douala and this could truly further generate income for the other sectors in entertainment. “Another part of this income will be gotten from lodging of attendees. 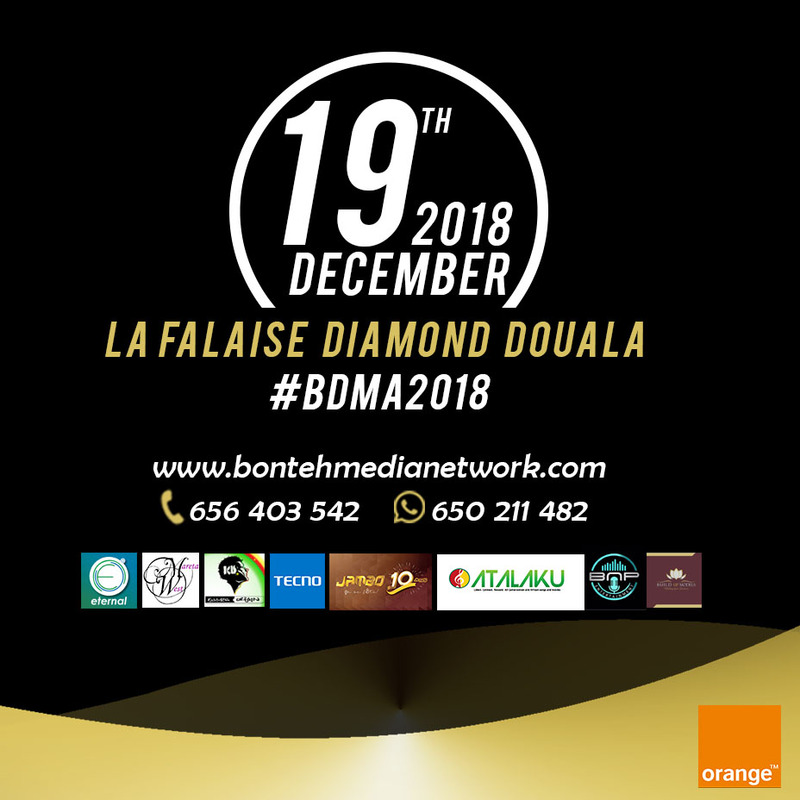 People will leave from all parts of Cameroon for La Falaise Diamond Bonanjo on the 19th of December 2018 to witness the second edition of the Bonteh Digital Media Awards. Those who won’t have friends or relatives to welcome them will need to lodge in hotels. And if we take a least cost of 20,000 FCFA a night for 500 persons (give or take, some people based in Douala may decide to sleep in hotels) it gives us 10,000,000 FCFA hotels will make,” says organizers. Clearly, fashion designers, makeup artists, hair salon owners and hotels aren’t the only sectors to benefit from this years BDMA. The gastronomy and transport sectors also stand to gain a lot from these expected ‘1000 guests’, making it possible for the show to generate up to 43 million this year.